Appreciation gift basket. 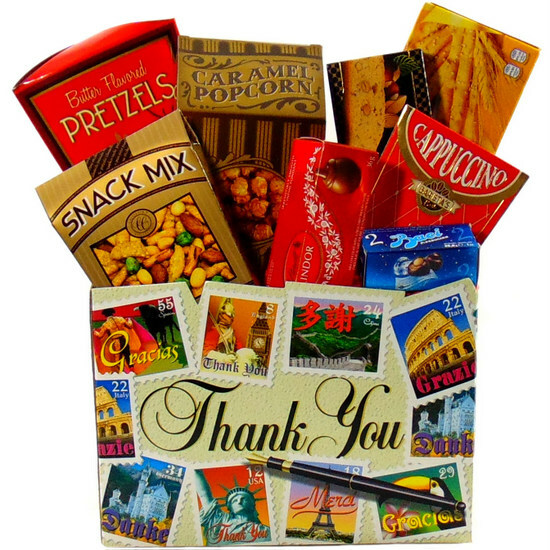 Thank You Languages Gift Box is a great way to express your appreciation to anyone. Send gourmet food gift basket to Coworkers. Client, Friend, Mom, Dad, Manager, Teacher, Nurse, Doctor, Dog walker, Caregiver and anyone. 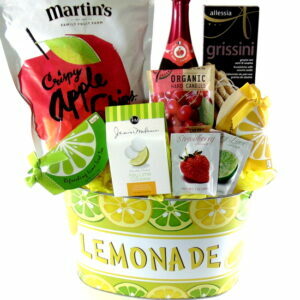 Appreciation gift basket. Thank you in all languages gift box stamps from around the world. Merci. Grazi. Thank You. Gracias and Danke words printed on the gift box. 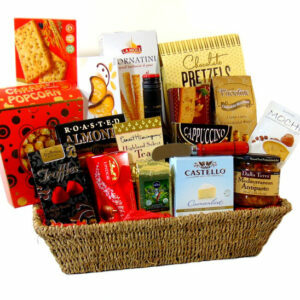 Send your Thank You message with this gourmet food gift basket.